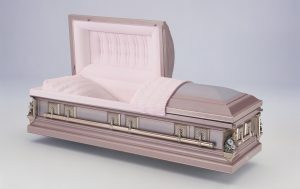 The following items are just a few of the many types of funeral merchandise available. The information is for your reference. Feel free to contact us with questions or for more information. 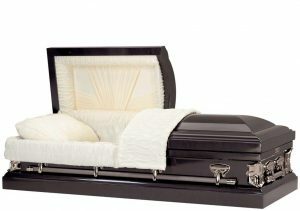 Choosing a casket is not always an easy choice. 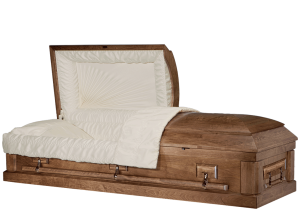 Most people who prearrange their funeral choose a casket that is a direct reflection of their personal taste. Color, style, sealing preference and your preferred method of disposition are all factors that should be considered when making your selection. 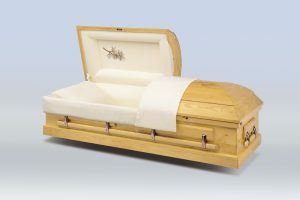 We have provided a few photos of some of the different types of caskets below. We deal exclusively with Batesville, and there are more options available other than what you will see here. 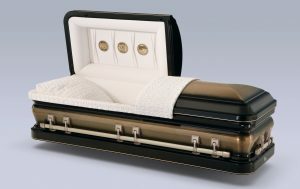 If you have any questions about caskets, we urge you to contact a representative of Behrens-Wilson Funeral Home and let us answer them for you. 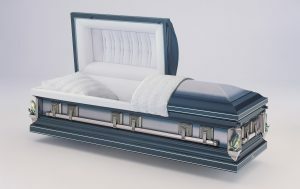 Burial vaults are used to surround the casket in the grave. 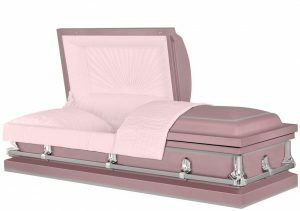 In most areas of the country, state or local law does not require that you buy a burial vault or container… it is often a matter of preference. 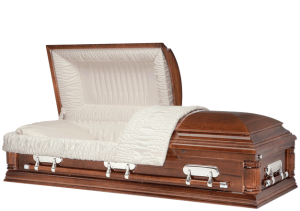 However, many cemeteries require that you have such a container so that the weight of the ground will not crush the casket below and cause the grave to sink in. 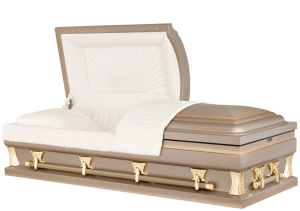 In most cases, either a grave liner or burial vault will satisfy these requirements. 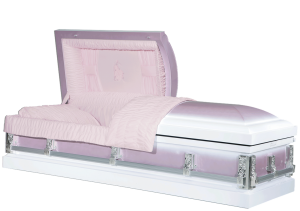 We have provided a few photos of some of the different types of burial vaults below. We deal exclusively with the Wilbert Vault Company, and there are more options available other than what you will see on this page. 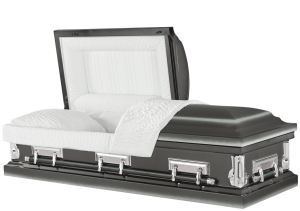 If you have any questions about burial containers, we urge you to contact a Behrens-Wilson representative and let us answer them for you. 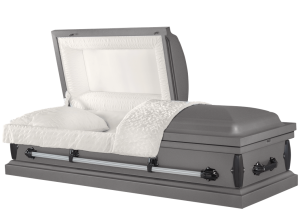 Venetian®: This is the strongest single reinforced burial vault offered by Wibert Vault. It features an ABS plastic reinforcing base and cover at 4 times the impact strength of Strentex®, as well as a durable concrete exterior. 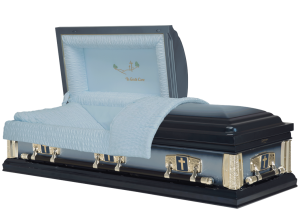 The Wilbert Bronze®: This is the strongest and finest vault that Wilbert offers, and it is the ONLY triple reinforced Wibert burial vault. It features a cover-reinforced, high-impact ABS interior that is bonded to a 9000 PSI concrete core. The base is reinforced with a high-impact ABS and bronze interior, and the exterior is made of ABS Marbelon® that is bonded to a 9000 PSI concrete core. 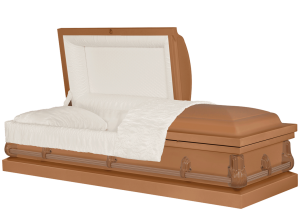 Bronze is considered to be one of the finest materials for casket and vault construction. 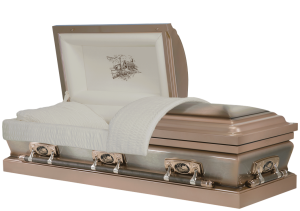 Cremation urns are made of many different types of materials, from bronze and copper to stainless steel to various species of hardwood. 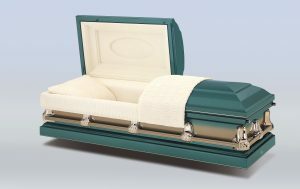 Vaults are available for urns, as well. We have provided a few photos of some of the different types of urns and cremation keepsakes below. 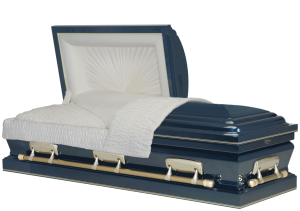 If you have any questions about urns or any other types of burial containers, we urge you to contact a Behrens-Wilson representative and let us answer them for you. 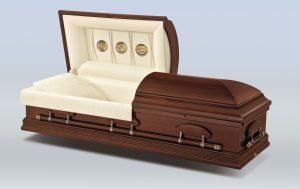 Hardwood urns come in a wide variety of wood types, as do caskets. The different species include mahogany, walnut, cherry, oak, maple, and exotic woods. All wood urns offered through Behrens-Wilson Funeral Home are solid wood with no man-made fillers. Strength, durability, and value are characteristics of stainless steel urns. Styles range from classic to contemporary. Stainless steel is known for its strength and durability. This type of steel is an alloy of iron, which contains more than 10% chromium. It is the chromium that forms the hard oxide coating on the surface, preventing oxidation and distinguishing it from other types of steel. Bronze is a semi-precious metal used to produce high-quality cremation urns. The urns pictured here are cast bronze (pictured on top) and sheet bronze (pictured on bottom). Cast Bronze is created by using a mold and is sandblasted to a smooth finish. Sheet Bronze is sheared, bent, and welded to create the final product. 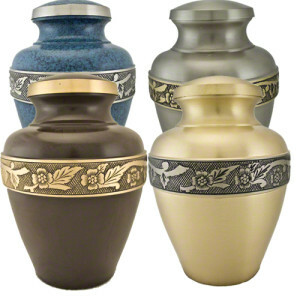 Sheet bronze is available only with a satin finish, which makes these urns easy to engrave. Fabricated sheet bronze urns are very high quality and their method of manufacturing is extremely cost effective. Some cloisonné styles are available in sets of five pieces (full-size urn, keepsake, candleholder, bud vase, and picture frame). In cloisonné manufacturing, the shape of the brass core is formed with a gentle hammering. An intricate design is then formed using copper wire netting, and colored enamel is bonded to the core and then fired in a kiln. The third step is repeated several times to enhance the beauty and durability of the design. The urn is gently hand-scored and polished for a smooth surface. 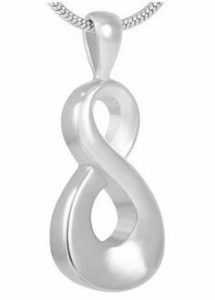 At Behrens-Wilson Funeral Home, we offer a variety of cremation keepsake urns and jewelry that hold a small amount of cremated remains. Keepsakes are sometimes used in addition to a full sized urn. 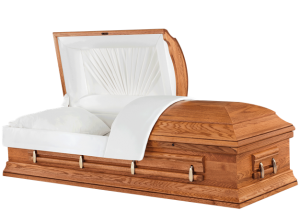 These options allows family and friends to retain some of their loved one once the cremation urn has been buried or interred. Feel free to contact us for more information, or simply stop by and take a few moments to speak with one of our representatives.